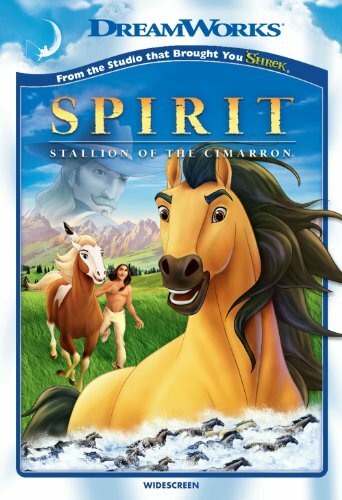 My kids both love Spirit: Stallion of the Cimarron, an adventure story about a Kiger mustang stallion in the Wild West, but my feelings are a bit more mixed. Speaking as a bleeding heart liberal tree hugger whose sympathies align almost entirely with the Lakota, Cheyenne, Arapaho, and other tribes of the Great Plains in histories of the Plains Indian Wars of the 19th century, this film is way too overbearing with its Indians=good, white people=bad message. No subtlety or nuance whatsoever. It also suffers from rather overwrought narration that strays too often from the sentimental to the sappy and maudlin. That said, it’s an enjoyable adventure story, especially for young horse lovers like my kids, and the animation is absolutely gorgeous. I consider it worth watching for the beautiful landscape art alone.